A dehumidifier is designed to remove moisture from the air, because excess moisture can lead to unpleasant living conditions. This is because the body cools itself by sweating, but when humidity is high, the surrounding air cannot absorb any more moisture, so sweat simply sits upon the surface of the skin, leaving a a person feeling hot and sticky. Removing moisture from the air decreases the humidity, making the surrounding environment cooler and more comfortable. Delonghi manufactures a line of quality dehumidifiers that are simple to use and effective. Place the dehumidifier on a flat, level surface near a grounded electrical outlet and insert the power plug into the socket. Wait for the power signal light to come on. If no light is visible, your model may have an on/off switch that needs to be pressed. If there is no power switch, the unit should run automatically any time it is plugged in. Look over the unit and locate the Full Tank / No Tank light. As the dehumidifier removes water from the air, it collects it in a reservoir that is located at the bottom of the unit. When the tank is full, the signal light will come on, letting you know it is time to empty the container. If you have never used the dehumidifier before, the signal light should be off. Select the level of dehumidification you prefer. Most models are available with variable utility settings, with 1 being the lowest functional level and 2 being the highest level. You can adjust your unit to meet your current needs, turning it up in response to increasing humidity in the air. Wait for the dehumidifier to do its work. Once the room has reached a comfortable humidity level, either turn the dehumidifier off and unplug the unit or locate the humidistat, if your unit has one. Rotate the dial on the humidistat, turning it counterclockwise, until the dehumidification display light goes out. This sets the humidistat to the desired humidity level, allowing the dehumidifier to operate automatically. For uninterrupted, automatic functioning, set the unit to “continuous". Check the water tank once each day. If the water level is high, turn the dehumidifier off and remove the tank to empty it. Wash the tank with a mild, liquid dish soap and rinse with warm water. Then wipe it dry with a soft towel and return it to the unit. Examine the air filter once a week. 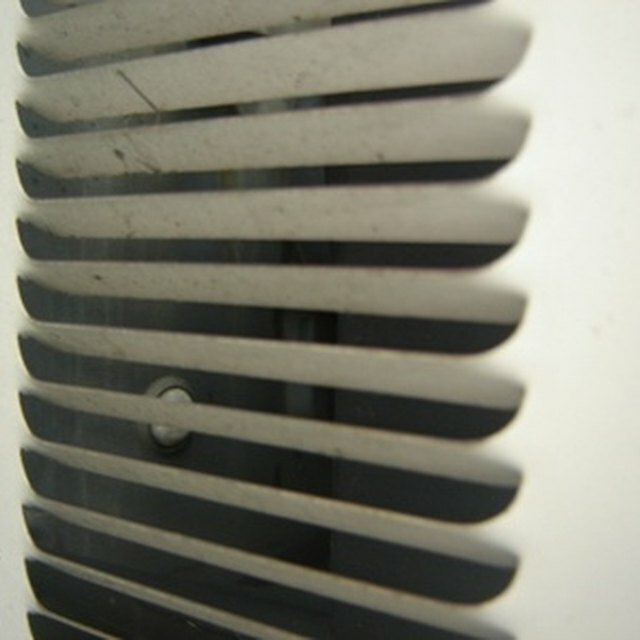 If it is in need of cleaning, turn the dehumidifier off and remove the filter. Then use the nozzle of a vacuum cleaner to remove any dust or dirt. Alternatively, the filter can be washed in mild soap and warm water, however, it must be completely dry before being returned to the unit.